Sarkar has been in the headlines for the past one week. First, few politicians had asked the Sarkar team to delete a scene from the film. Then rumours abounded late on Thursday night that police had reached the AR Murugadoss' house with the intent to arrest him. We are still not sure if it was to arrest him or to protect him from goons who are against his film Sarkar. Later targeting of theatres screening Sarkar by few goons damaged cutouts and banners. The Sarkar team eventually had to remove a scene and also mute a couple of controversial dialogues from the film. 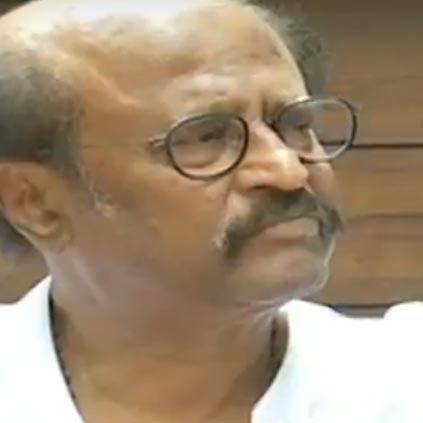 When Rajinikanth was asked to comment on this issue, he said - "I strongly condemn this act of violence, in fact, violence made in any form is condemnable, if you have any issue with something, you need to ask, sit with them, talk to them and then react. You cannot indulge in violence just like that." When asked to comment on the freebies provided by that government that Sarkar is against, Rajinikanth said, "Freebies are necessary, but for whom, what and how much needs to be carefully studied and provided. You shouldn't provide freebies just for the sake of vote you, then that is not correct." People looking for online information on Sarkar, Vijay will find this news story useful.